Disclaimer: this post has been updated with new images and ideas with special thanks to my sponsor, Frigidaire Gallery®. 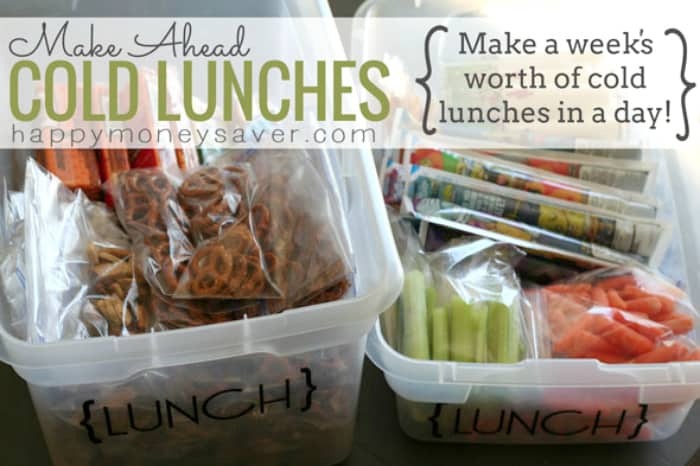 I love this post and continue to make ahead my kids cold lunches to save time and money! It’s morning. You’re tired, and moving slow. 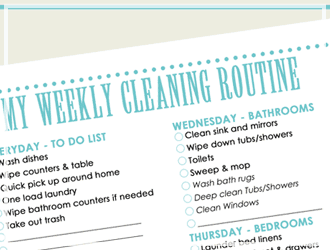 Your brain is trying its best to remember all the morning tasks and get the kids off to school on time. About 5 minutes before the kids head out the door you remember you need to make their cold lunch. And then it’s crunch time. You worry if they’ve even remembered to brush their teeth as you open the fridge to see what they will be having for cold lunch. With not enough time…it’s either going to have to be hot lunch again or another boring peanut butter sandwich. But now I have a method that really works. 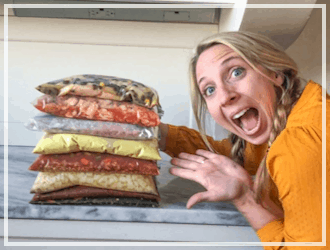 I have been making a week’s worth of cold lunches all in ONE day for a few years now, and it is the best thing for busy moms! This method has totally saved me. So how this works is the following: Once a week I chop and bag up all the fresh fruit, vegetables, crackers and any other lunch items all at once. Then I add them to 3 different cold or dry lunch buckets to store in my fridge, freezer and pantry. 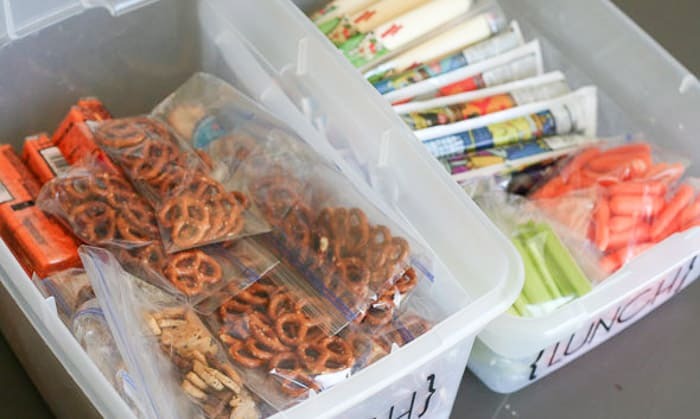 The kids can quickly grab the items to throw in their lunches themselves in the morning or evening before and my work is done. Takes all my stress away. 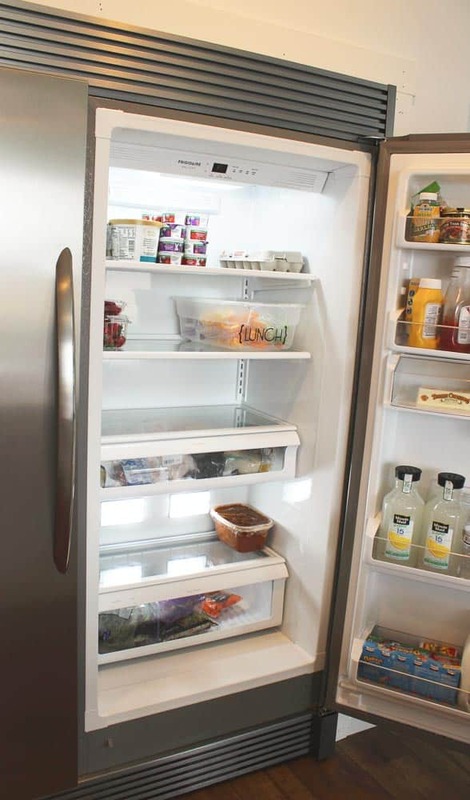 The cold lunch bin sits perfectly in my new Frigidaire Gallery® All Refrigerator. I have owned this appliance for a few months now and I LOVE how much space I have. 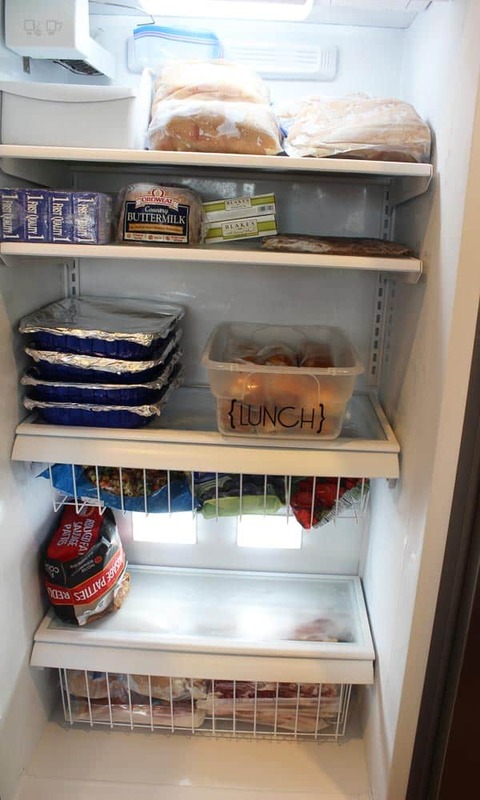 Having this extra room in my fridge has saved my family time and money and has made it feasible to feed my kids healthy cold lunches on a regular basis. One of my favorite features is that it has an alarm on it if the kids leave the door open (which believe it or not has come in handy). And when I need to raise or lower the temperature it’s as easy as pressing a single button. Seriously it’s my favorite appliance in the house! And everyone that visits me comments on how cool it is and I have to agree. 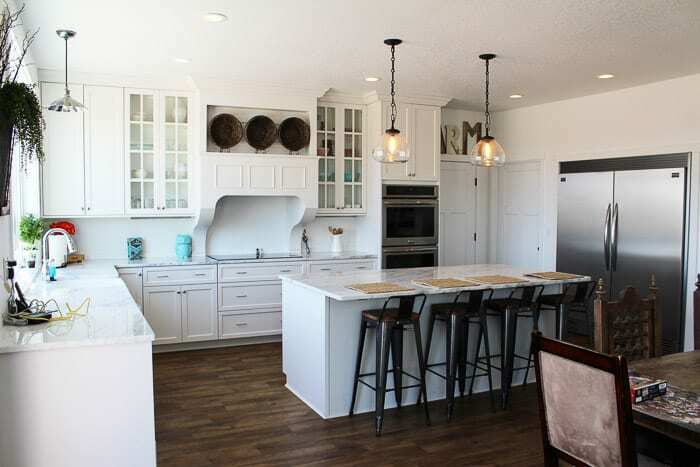 If you are looking to upgrade your appliances or build a new home in the future I would absolutely consider this amazing built-in set. I typically just fill up my bin in the freezer with sandwiches or frozen homemade yogurt tubes. To figure out how many to bag up for the week, I count out the number of days for cold lunch that week times how many children. Here is my own personal math: 4 kids x 5 days = 20. 20 bags of various chopped vegetables, 20 bags of various chopped fruit, 20 bags of chips/crackers, 20 string cheese or even treats if I feel nice that week..hee hee. 20 Sandwiches, quesadillas, or other main dish options. So I make everything all in one day then I’m all prepared. WANT TO BE MORE “GREEN”? One idea is to buy a bunch of re-usable sandwich bags. They can be expensive to buy a bunch, but it is better for the environment. Or you could use bento boxes or plastic containers. 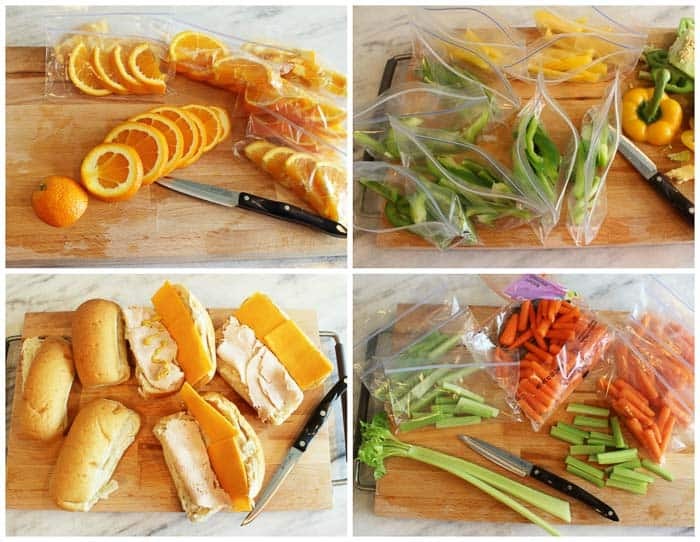 You would just prepare the lunch ingredients in advance use a few larger gallon sized bags and fill them with all the carrots, string cheese and other items. 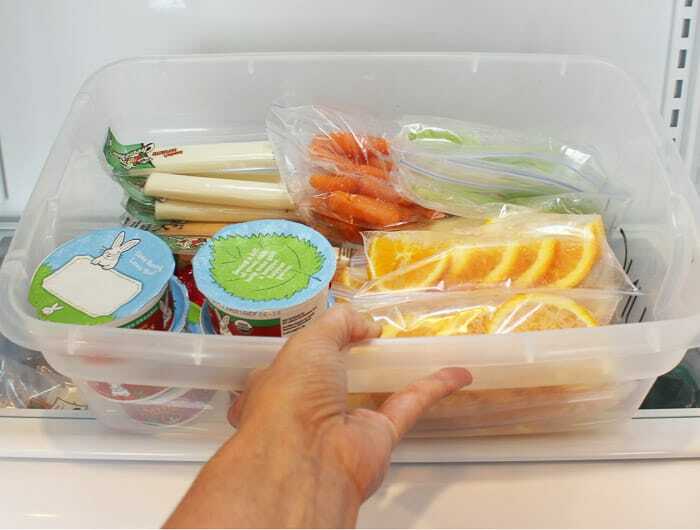 Then you can quickly fill the bento boxes or containers the morning of. For me while I want to be green, I am also on a very tight budget. So when I look at spending $2.00 for 100 little plastic baggies versus having to spend hundreds on re-usables, well… it’s tough. So I will be trying to buy a few re-usable bags or container each month and slowly reduce my waste in the world. You just do what you can! Every little bit helps. 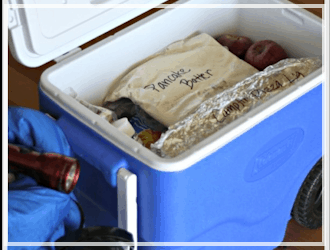 Have you tried making your cold lunches once per week using this method? 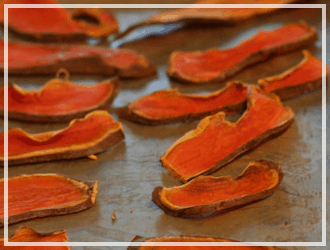 Got any other great food ideas for kids, teens or even your husbands’ lunch? I have kind of done this with the kids, but only for a few days at a time. For lunches I aim for Protein, Fruit/Veg, Salty, Crunchy, & Sweet. Not as a nutrition guide, but to keep the lunch interesting. An Apple would be Crunchy and Sweet and Fruit. Crackers would be Salty and Crunchy. etc. I sometimes do it more Bento Box style so everything is not in its own container. I am confused, though, why the distinction between Cold Lunch, which is mentioned a lot and Hot Lunch, which is somehow inferior or lazy? I sometimes send them off with soup or pasta in an insulated container. 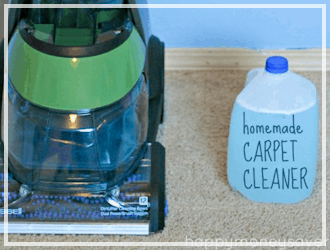 Great tips Lynnie! I like hot lunch stuff too, I think sometimes the hot lunch stuff can be even more work since you have to warm the container first so it will stay hot all day till lunch. But I love the idea of the hot lunch too. This post is more about making ahead cold lunch items though since it’s kind of hard to make ahead hot lunch. I know this post is super old. But I noticed in one of your pictures you were doing mini sub sandwiches. How does that hold up in the fridge? Did you leave off the condiments? Maybe buy some little ones like a fast food restaurants to put in their kits? LOVE this idea so much. I combined through looking for how the bins were labeled and was flabbergasted at the amount of people who feel the need to pull out their soapbox and parent shame the rest of us. I love this! I am 8 1/2 months pregnant and always looking for ways to prep ahead of time. Our daughter is 5 years old and packing a lunch sometimes is very tedious for me (especially when I’m sore already and those Braxton Hicks start kicking in). So I love this! Thank you! I really like this idea! I work as an Instructional Assistant plus have 2 teenagers who also take their lunch quite often. There are some nights we just do not feel like fixing the lunches and having bags already ready would help with this. My daughter and myself also boil eggs ahead of time to take boiled eggs in our lunches which gives us some protein in our meal. The school lunches are just not as good as they used to be a couple years ago and the lunches I had as a kid there were a lot of variations and had more variety in the lunches. Of course, some of the selections that are no longer served is because of the peanut allergies. We use to have chili with peanut butter sandwiches, chicken noodle casserole, pizza, pizza buns or burgers, and I am sure their were other options. Anyways, I loved your post! LOVE this idea! My son has a bento box so I’ll be doing the gallon zip lock and toss in the box in the morning option. This will make mornings so much easier! I homeschool an almost 5 year old and have an almost 2 year old. Everyday I try to figure out what to do for lunch. This is such a great idea for us! Nothing Goes Better With Peanut Butter Sandwiches and Tips on Packing Lunches Quite Like A Group Of Parents Bickering Over Something They Have No Control Over. You people do realize anaphylaxis isn’t limited to tree nuts and peanuts, right? I keep reading how it would be impossible for a strawberry or other food to cause it, which is really weird. It’s like everyone only did their research on one thing and then made broad assumptions. You can’t sterilize a child’s environment, people. You cannot force everyone to change who they are to suit your needs. Listen when I tell you that cannot 100% prevent accidental exposure, even at a peanut free school. It is impossible. Kids may come from their home with it on them somewhere, and believe me, at some point, they will! What you can do is educate your child and if need be, change their environment by homeschooling. You guys keep saying how selfish parents are for wanting to keep items available to children with limited diets or how selfish they are because they want to see more schools allow peanuts. The really selfish argument here is the one where a parent feels so entitled that everyone else needs to change to accommodate them and their child. Negative. You need to dig deep and carry that cross yourself, as their PARENT! They are your responsibility first. “You people”? Really Momnom? Food allergies come in many different forms. Peanut allergies are unique because the peanut protein doesn’t need to be ingested to cause anaphylaxis. The protein in peanuts is unique in that it can become airborne and therefore can be inadvertently inhaled and cause a potentially deadly reaction. Other food allergies ( such as shellfish, which I have) only cause a reaction when ingested ( for all the ignoramuses reading this, that means eaten). I would not expect schools to ban shellfish because the danger of accidental exposure when not eaten simply isn’t there. In our school board children are not allowed to share their food and are educated about how some foods can harm their classmates, hence the no sharing rule. Again, this rule does not protect the children with peanut allergies because ingestion doesn’t need to occur. I had a friend that had a reaction upon entering our home that had a butter knife in the sink that had been used to spread peanut butter earlier in the day ( and he was 2 rooms away from the kitchen when he entered and reacted). If your child will only eat peanut butter they clearly have some nutritional deficits and you should look at perhaps expanding their horizons. Grow up and act like compassionate adults instead of entitled little cry babies that are clearly too lazy to try to find an alternative ( it’s not like peanut butter is a super food ffs). 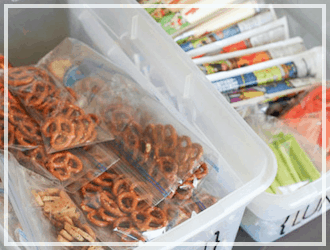 I believe the purpose of this post was to help give parents some ideas of how to get organized and make lunches for their children a less burdensome process. I didn’t know it was a forum for vilifying children with peanut allergies. While I wouldn’t wish that stress or constant worry on my worst enemies, the people on here who would rather remain ignorant about life threatening allergies and feel just fine putting innocent children’s lives at risk simply because they feel entitled that their child’s ” right to eat his/her favorite food at school” trumps the right of a safe, non life-threatening environment for another student seems absurd and I can only say it would be Karma should someone they care about discover they have a life threatening food allergy. I’d love to see how their stance changes then. Empathy can only be taught to some people through direct experience. Sad really. This year I started using wide mouth mason jars for mine and my daughters lunches. You can get reusable plastic lids that I write on with a dry erase marker, and they are freezable. 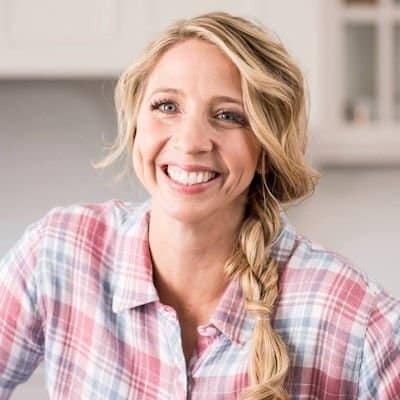 I have a variety of sizes, but mostly use the 8oz wide mouth Kerr (for cottage cheese, applesauce, yogurt, and veggies), Ball 4oz regular mouth jelly jars (for dipping sauces or salad dressing), and Ball wide mouth pint (for salads). We also have plastic sandwich boxes that I mostly got at the dollar store (we have Avengers, Star Wars, Hello Kitty, and Disney Princess ones). Besides being able to freeze the mason jars, you can also sanitize them in the dishwasher. I will also make up “freezer meals” in the Ball pint jars, where I will portion leftovers into single serving meals and freeze them. Then you can have food ready for those nights where you don’t feel like cooking and might otherwise turn to carry-out! Wow, didn’t any of you see the boy in the plastic bubble! Peanuts and peanut butter aren’t going anywhere any time soon. Just saying. Educate or get them a bubble. My daughter likes “lunchables” I use Turkey pepperoni, whatever cheese she is in the mood for and crackers (again whatever she is in the mood for. We put the cheese & pepperoni in one bag and the crackers in another and put them in a lunch bag. She also likes the pinwheels so I make my own and with what she wants and slice them up for her. Doing these ahead of time would be great!! Thanks Theresa! Great ideas, I really appreciate your comment! You may have already answered this, and I tried to skim the comments but didn’t see it. Do you use ice packs in their lunch boxes? Or do you just let the frozen sandwich serve as one? Or both? Just curious if the sandwich would thaw well enough during the day if there were also an ice pack in there, but not sure if the sandwich alone would be enough to keep cheese or yogurt cold enough. I freeze wet sponges into plastic baggies and use them as ice packs. Super thrifty as they don’t cost much to do. If you had a sandwich and frozen gogurt it might last keeping it all cold for those 3 hours, but I don’t like to take a chance. I just don’t understand the peanut allergy thing. There is a girl in may daughter’s band who is severely allergic. This year we are having to read the labels & not bring anything even made around peanuts for her sake. I don’t know how she has been surviving high school. We’ve been told she can die from the smell of it. So how on earth is she even in school? I would be TERRIFIED of my child going anywhere if it was that serious. ‘Cause there is no way of knowing a student didn’t eat a peanut butter sandwich, pnut butter crackers or a granola bar for b’fast without washing their hands. My child does most every morning in the car on the way to school. Her school is not peanut free, candy bars are sold in snack machines. A person couldn’t walk into any grocery store/gas station because there are peanuts in every single one of them. IF this allergy is as bad as we have been told how the heck is she still alive? This why parents like me are not understanding/compassionate – because we truly don’t get it. So enlighten us. Norwex also sells some reusable sandwich bags. I try to live GREEN and hate baggies. 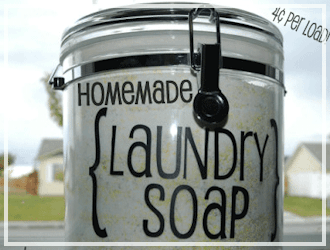 So when I use them, I make the kids bring them home – then I rinse/wash them out and reuse! Please don’t throw them out!! The poor earth just can’t take any more plastic.